Adobe wanted to tell designers that they can work faster with Adobe Stock. Together with ACHTUNG! 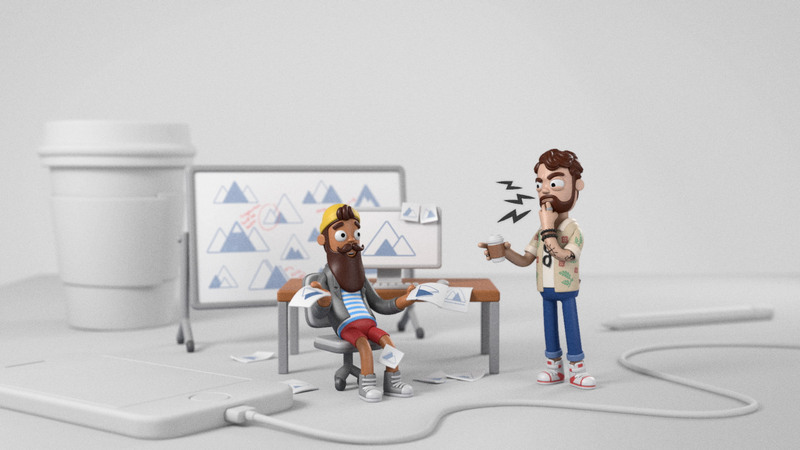 mcgarrybowen and Adobe, we tapped into an industry phenomenon; The Hovering Art Director. Every creative professional knows the Hovering Art Director: the micro-manager that hovers over your shoulder, providing unsolicited feedback, like ‘Let’s try this sunset as a sunrise’. Our mission was to promote and gain awareness for Adobe Stock, which gives the creative industry access to over 75 million creative assets, in a fun and creative way. The idea was to incorporate Adobe’s stock offering into the daily life of anyone working in the creative industry. The result was a campaign that tapped into agency life with a recognizable figure starring as the main character: The Hovering Art Director. The campaign also included live webinars that demonstrated the making of the WolfBear artwork. But, to really get into the designers’ workspace, we used their love of toys by introducing the Hovering Art Director action figure. 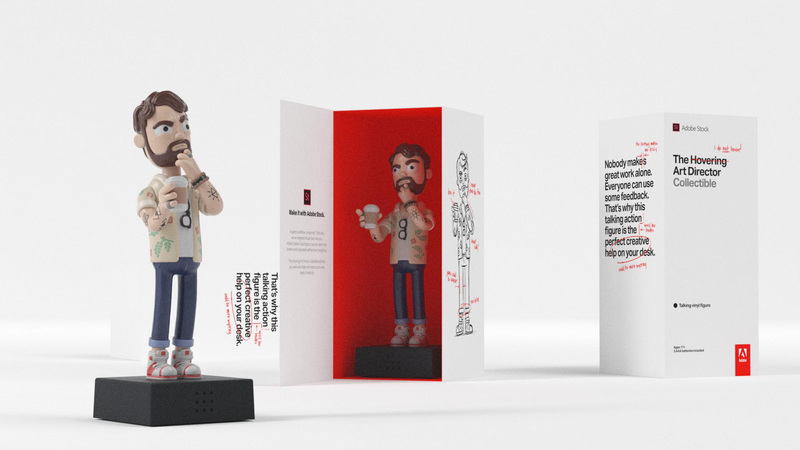 Through an online competition, designers could win a talking 8-inch high figurine that featured all clichés of an art director; tattoos, skinny jeans and a notebook with award-winning ideas. The figure even had 19 pre-recorded one-liners, such as ‘Just make it pop!’. To win the action figure, creative agencies were asked to share their best, most cringe-worthy Hovering Art Director one-liners. They could visit the competition website and use a template to share their quote on social for a chance to win an action figure. The campaign became a massive online viral hit, resulting in a PR outreach of approximately 36,672,359 impressions. On social, it received 172,499 engagements, 14,719 visits to the blogpost and 8.9 million impressions globally. The humorous campaign video gained 11.900.000 video views in total. As for the competition: on the first day alone, Adobe received over 1,000 entries. In total, we saw 4,855 shares in this competition driving the Hovering Art Director buzz. The campaign also won a Digital Communication Award in the Online Competition category.